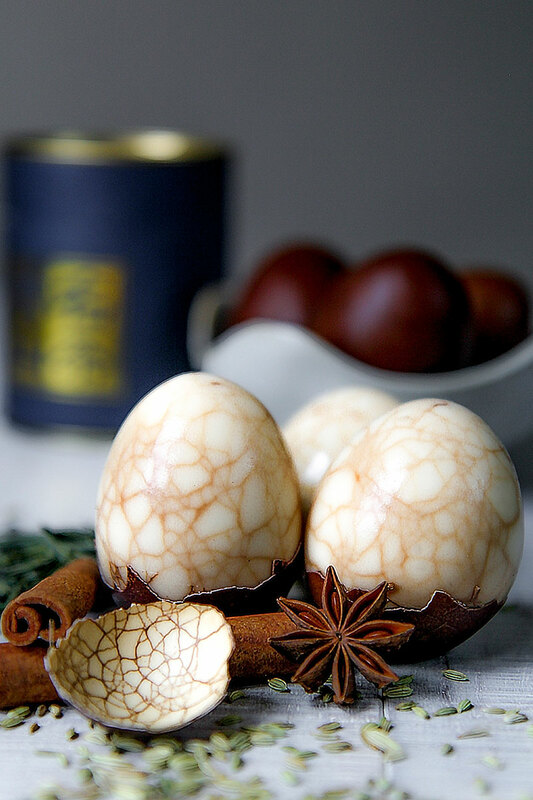 Chinese tea eggs are a tasty and beautiful snack, spectacular thanks to their spiderwebded texture. The first time I ate this marbled Chinese specialty I was in Beijing. Even only a bite is unforgettable. A strong and particular flavor, not for all, but a must-to-try! The first day of my first trip in China, I met one of the most popular Chinese specialty (click here to read my foodie report from Beijing). It was very early morning. Jet lag has been killed my sleepiness, forcing me to going up just before dawn. On the streets around the old city of Beijing just a few people besides me. Workers, street cleaners and scholars with different uniforms depending on the school. Wandering without any particular destination I saw a knot of people at the end of a narrow street. I reached the corner curious to take a glance over that little human wall. Two young cooks preparing delicious baozi: traditional Chinese buns, filled with pork or greens. Beside the steamer for baozi, a big jar containing plenty of eggs steed into a dark marinate. After a couple of baozi (ok, more than a couple!) I decided to try one of those particular eggs. Peeling the first egg, the texture was spectacular: the marinate has penetrated throughout cracked shell creating a spiderwebed painting on the white surface! The first bite reveals intense tasting: tea, soy sauce and spices of the marinate has given a great flavor at the egg. I can’t lie to you, it wasn’t the only tea egg I ate that morning! Marinated is a common way to serve eggs in Asia. Depending on the country, different spices and technique are utilized to prepare the marinate. In Japan, the eggs are marinate in cold Cha-shu pork, a special broth made for ramen, flavored with ginger, oyster sauce and sake. The eggs steed in Cha-shu pork are soft and moisty in the middle. Indonesian Telur Asin are duck eggs simply marinated into a solution of water and salt up to 3 weeks. A more rich Indonesian marinate is prepared with guava and teak leaves. In Taiwan, Malaysia and Singapore, marinated eggs are very popular as well, and eaten daily as snack or breakfast. Marinated Chinese eggs require Chinese tea. 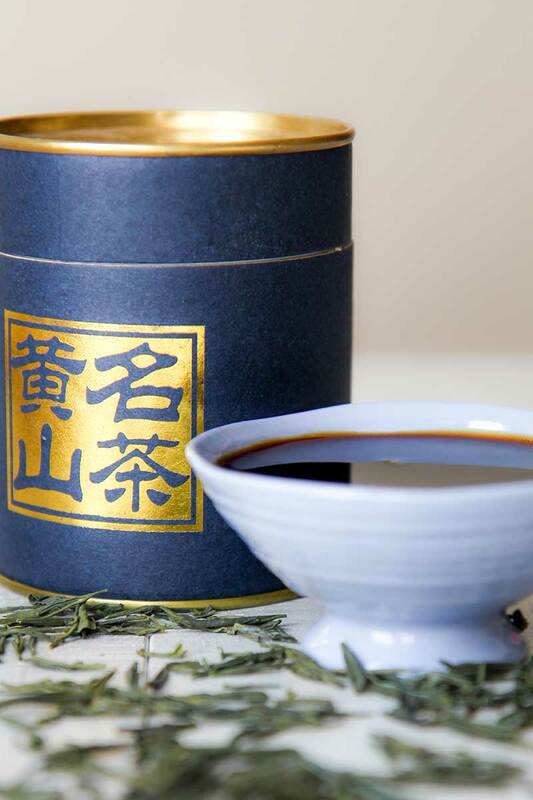 Even if black tea is considered the most popular to use, it red or green tea are excellent choices as well. Personally I prefer the green tea flavor. Choosing right selection of spices is very important. 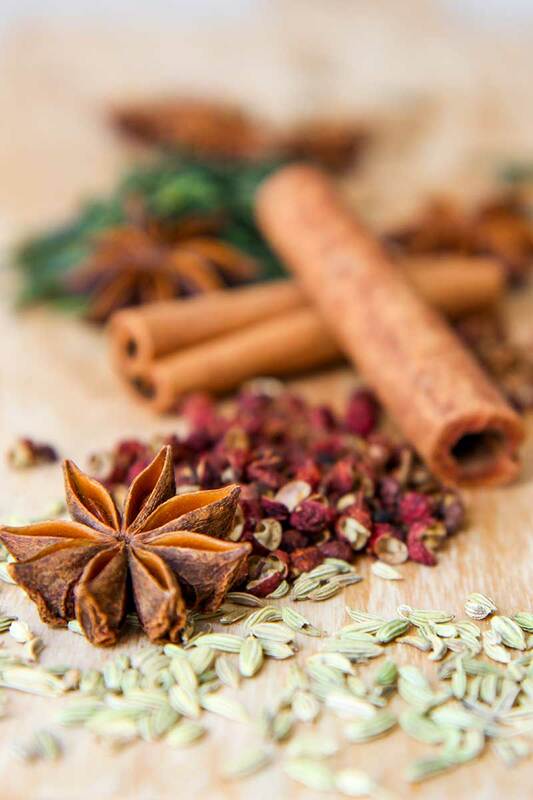 Anice, cinnamon, cloves, Sichuan pepper and fennel seeds are the component of the classic “five spices mixture”. 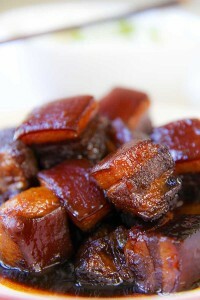 Is possible use grounded five mixture ready-to-use, but I prefer prepare the marinate with whole spices. Some people love add a piece of ginger as well. Personally I’m not a fan of hard boiled eggs, but Chinese tea eggs require a long simmering to mark the surface with characteristic spider web texture. Otherwise It is possible boil the eggs until soft boiled, peel them and marinate starting from room temperature and completing into the fridge. This method will keep the yolks moisty, but the flavor is not intense as with the traditional method. 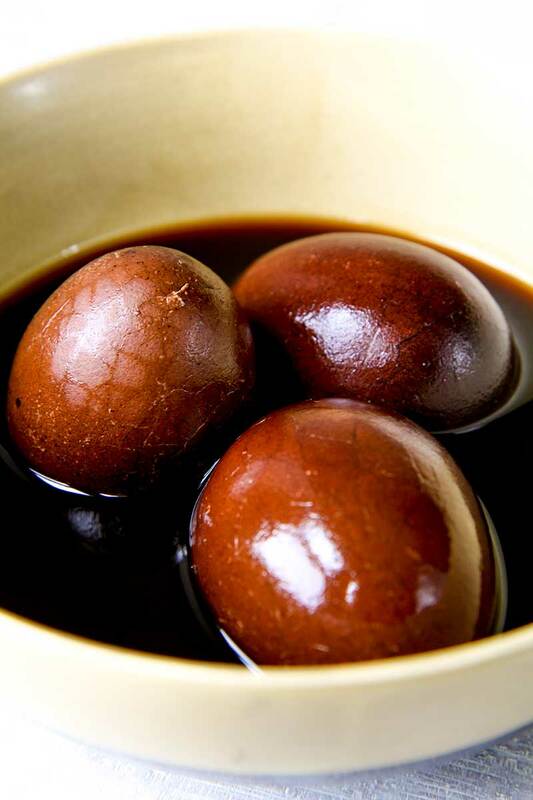 The tradition says that eating tea eggs at Chinese new Year eve will bring fortune and gold. But, tea eggs are normally consumed daily all year long! 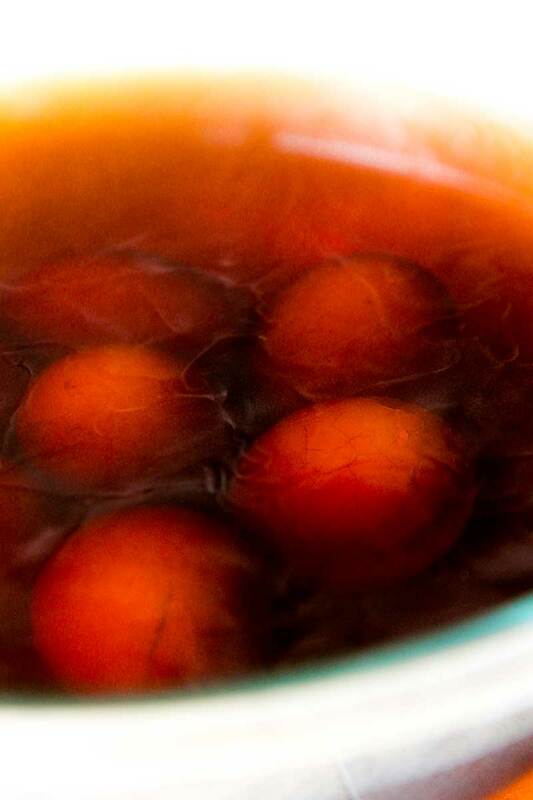 Here my recipe to prepare traditional Chinese tea eggs! Fill a pot with 4 quarter of very cold water. Pour into the pot tea leaves, soy sauce, tamari, cane sugar, and all the spices. Place the pot over very low heat. Place room-temperature eggs into another pot. Fill the pot with warm water and place over high heat. When the water starts to boil, set the heat in order to let the water strongly simmering. Count 7 mins to cook the eggs. When the eggs are ready, place the pot into the sink under running room temperature water. Turn the water into cold, gradually. Finally, place the eggs over a clean cloth or paper towels. Gently tap the eggs with a teaspoon cracking all the shell surface without cause any hole. Gently place the eggs into the marinate and bring to boil. 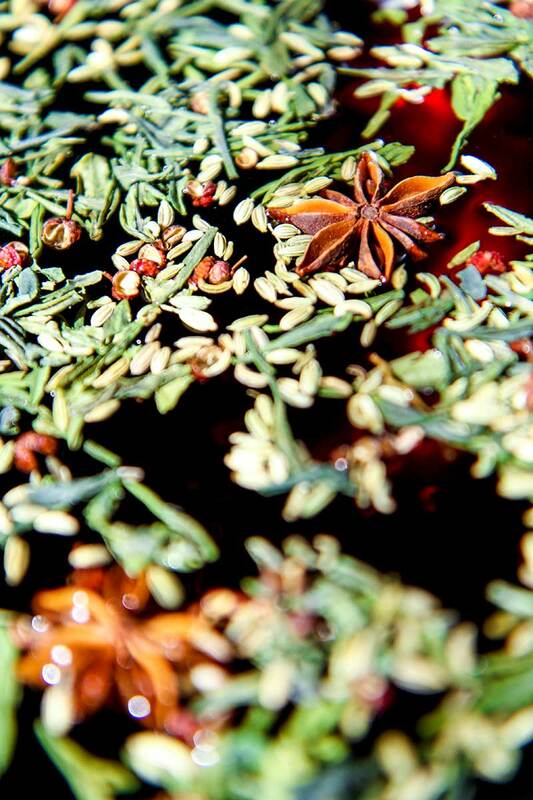 When marinate starts to boil, set the heat in order to let simmering. Cook the eggs at least 40 mins, up to 1 hour. The more eggs simmer into the marinate, the more spider web texture will be accentuate once peeled. 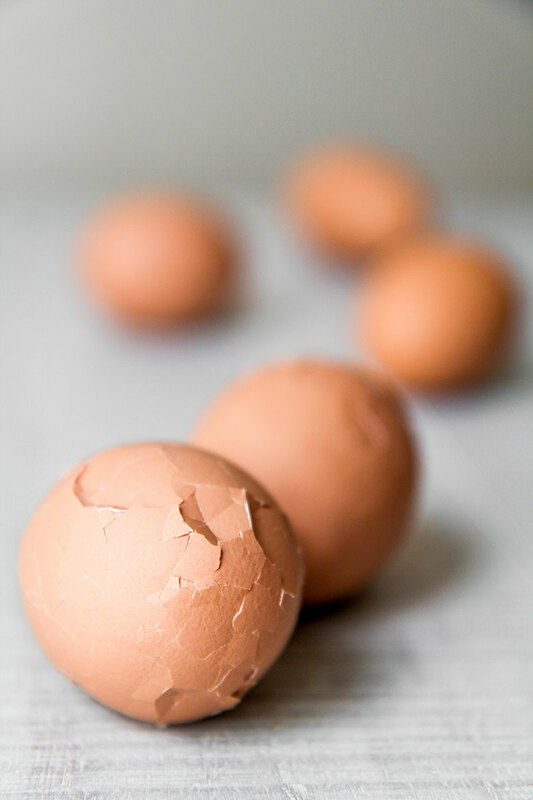 Once cooked, Let the pot reach room temperature, then place the eggs into a ceramic or glass bowl. Sift the marinate and pour it over the eggs covering completely them. Store the tea eggs into the fridge at least 5 hours up to 2 days before serving. Peel tea eggs just before serving, or present them unpeeled, letting the guests peel and discover a surprising marbled texture!